The straight sleeve has two main variations. One has a folded top and the other is simply wrapped around the dolls arm. Take a straight skirt and fold it in half length wise. Hold the piece so that the folded edge is running along the length of the dolls arm. If you just want to do the wrap around sleeve, then measure from where the sleeve would wrap around underneath the dolls arm to the length that you want the sleeve, elbow or wrist length etc., and cut at the proper length. Skip the next step and go straight to wrapping the sleeve around the dolls arm. For the other sleeve variation, measure from the top of the dolls arm at the shoulder down to the length you want. After you have the folded straight skirt cut to the proper length, cut along the folded line to make two sleeves. This should be about the right width for most fashion doll arms. If you have a special design on the straight skirt you are using, you can cut the sleeve to have that design along the edge you want. Also, to make this sleeve on a doll with bended arms measure the sleeve along the outside of the elbow. 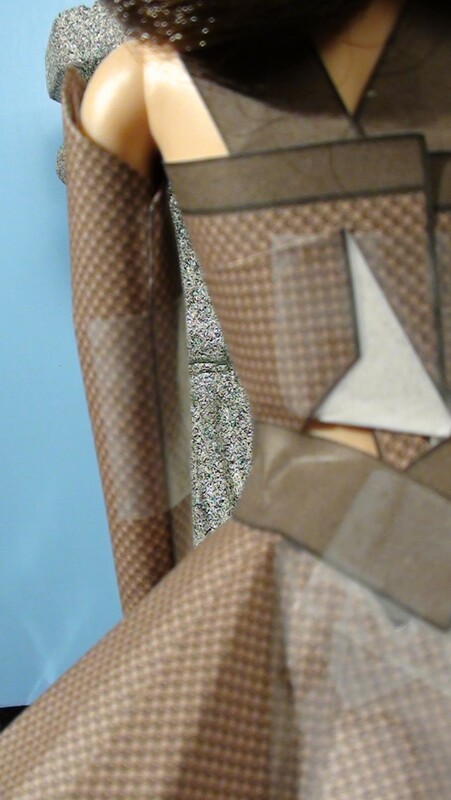 Take the top edge of the sleeve and make a slight crease half way across. Use this as a guide to fold down the edges to make a triangle shape at the top of the sleeve. Fold the tip of the triangle down slightly for a more rounded look or leave it unfolded for a pointed tip. Take the sleeve and wrap it around the doll’s arm with the triangle point at the top, if you are using that sleeve variation. Wrap the sleeve so the overlap is in the back, so first wrap the side of the of the sleeve that is towards the back of the doll towards the front and then wrap the front part. Once the sleeve is snuggly wrapped around the doll’s arm and in place, use tape to secure it. If your doll has a bend in her elbow, first arrange the sleeve at the wrist and tape in place, then gently bend the sleeve and wrap around for the rest of the sleeve. 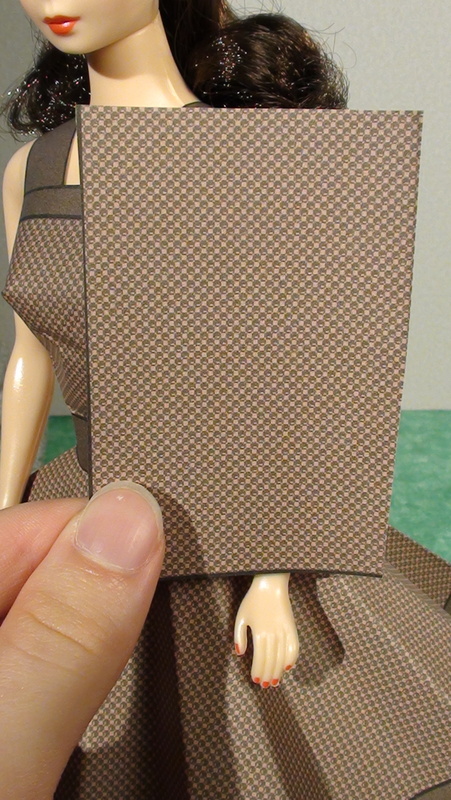 For a more natural rounded look, fold the tip of the triangle point down before wrapping around the doll’s arm.